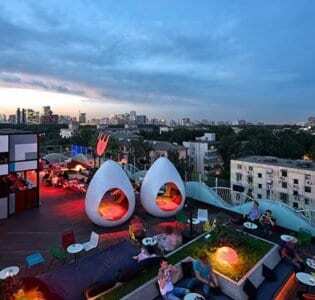 Formerly Room 101, Ginkgo has rapidly established itself as one of Beijing’s coolest venues. Upstairs there’s a stylish dining area with a European-influenced menu, downstairs there’s a bar where they host regular live music nights. It’s an airy open space, serving coffee and nibbles during the day, on Fridays and Saturdays you can see anything from electro-jazz to Algerian reggae. In the restaurant you can munch on homemade pasta and moules marinieres before heading down to grab a cool cocktail and watch some unexpected and off-radar music.